Pauatahanui Inlet of Porirua Harbour from air. Pauatahanui Stream far left, Wildlife Reserve below, and Grays Road, Ration Point right, Paremata Camborne behind. 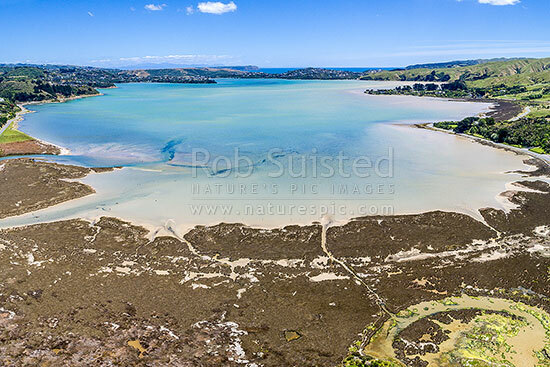 Aerial view, Pauatahanui, Porirua City District, Wellington Region, New Zealand (NZ), stock photo.